In appreciation for a legacy of support spanning more than 4 decades from the Bates-Bristol Family, The Mansion at Hill Top Preparatory School has been named Bates–Bristol Hall. 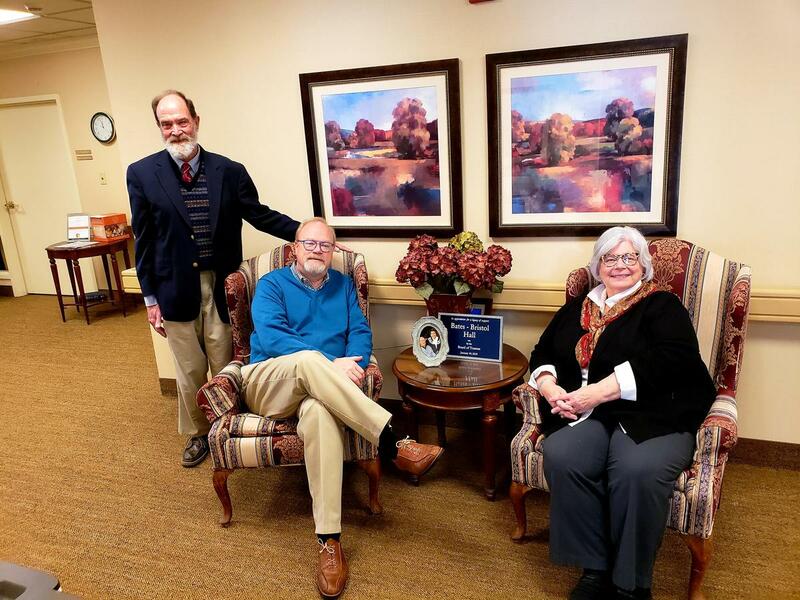 In appreciation for a legacy of support spanning more than 4 decades, Headmaster Tom Needham and his wife Wendy visited the Bates-Bristol Family in Charlottesville, VA to present the plaque that will adorn the newly named Bates – Bristol Hall (formerly known as The Mansion) at Hill Top Preparatory School. It is only appropriate that Hill Top’s main building be named for the family who has most generously supported the School since its founding. Bill Bates ’74, his mother and sister were humbled by this gesture. Nevertheless, Bill is hoping that his family’s contributions will validate the School’s mission to encourage support from other alumni and external funders. Hill Top provides an extraordinary education for exceptional students in grades 5 through 12. Students travel from five counties in Pennsylvania, as well as NJ and represent a varying constituency – all affected by the need for an educational environment in which neurodiverse learners can be successful. Private funding helps to bridge the gap between tuition and annual operating costs, as well as supports special projects/programs and scholarships.